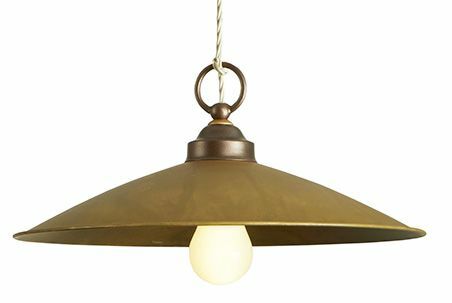 A pendant light with a vintage feel. As brass is a natural material, the lampshade might vary in colour and tonality from the picture. Pendant and ceiling lamps available in different sizes made of powder coated steel with diffuser in oxidized brass or steel. The power cord of the hanging version is woven fabric.